Rent Grand View | Corporate Events | Wedding Locations, Event Spaces and Party Venues. 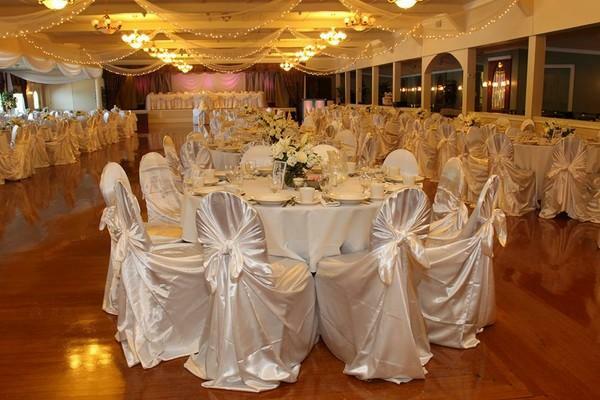 For over three decades, Grand View, formerly known as The Imperial Ballroom, has been the venue for many of life’s decisive moments: for wedding ceremonies and receptions, family celebrations, bar mitzvahs and bat mitzvahs. The staff of Grand View prides itself on meticulous attention to details. Our wedding manager and her assistants along with her network of trusted professionals, all local, polished, and experienced, will be with you and your beloved from the time of your booking until your very last dance. Such concentration ensures the highest degree of personal attention, problem solving, budget management, and customized service. You will want for nothing because of our dutiful care. Our 15-acre waterfront estate is the perfect setting for your enchanted day. It has the natural beauty typical of the Blackstone Valley, including alluring waterfront vistas. The natural beauty of our 15-acre setting is further enhance by elegant gardens, distinctive stone work, and beautiful water features. The secrets of our longevity and success as a wedding, function, and conference facility are our uncompromising devotion to each and every individual who graces our facility and laser-sharp focus on doing one thing exceptionally well: hosting people at special times. We’re not a country club that supplements its revenue by accommodating large groups or a hotel that channels its customers into enclosed, nondescript spaces. Instead, we’re a unique, elegant lakefront facility in the little town of Mendon with a devoted staff perfecting one event at a time.